Once a year in the UK, some of the worlds leading PPC thinkers, innovators and practitioners gather for Hero Conference, organised by Hanapin Marketing. This is (we believe) the only 100% focused PPC conference run in the UK (Hanapin also organise a US version each year). It’s 2 days packed with speakers covering everything from hands-on Excel skills to strategic reviews of the best Search Marketing Campaigns being run across Europe right now. So, what did we learn, and what do business owners / marketers and PPC Managers need to know? PPC is in a really good place right now! The closing keynote speech from Kirsty Hulse started off with how PPC was in a strong position relative to her field (SEO). 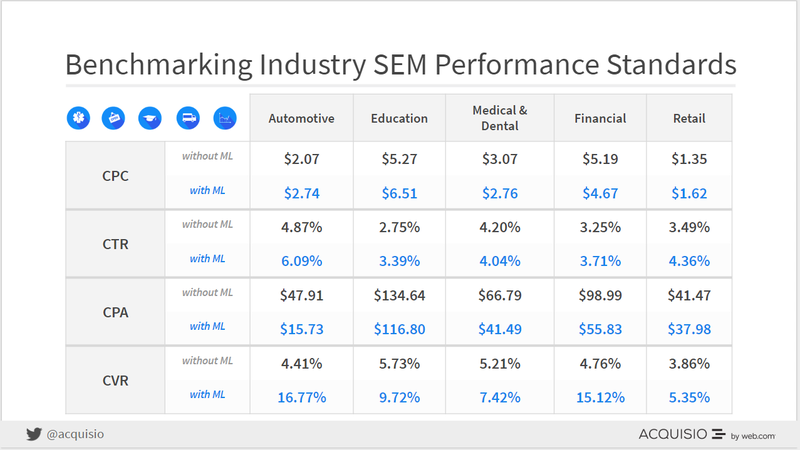 With increasingly sophisticated targeting options, improved tracking capabilities and AI technology, PPC is going to continue to be a (THE) key marketing tool for the foreseeable future. EVERYONE is talking about AI (Artificial Intelligence) and Machine Learning. Marc Poirier (Aquisio) presented a whole series of slides demonstrating the performance improvements implementation of ML had at industry level. 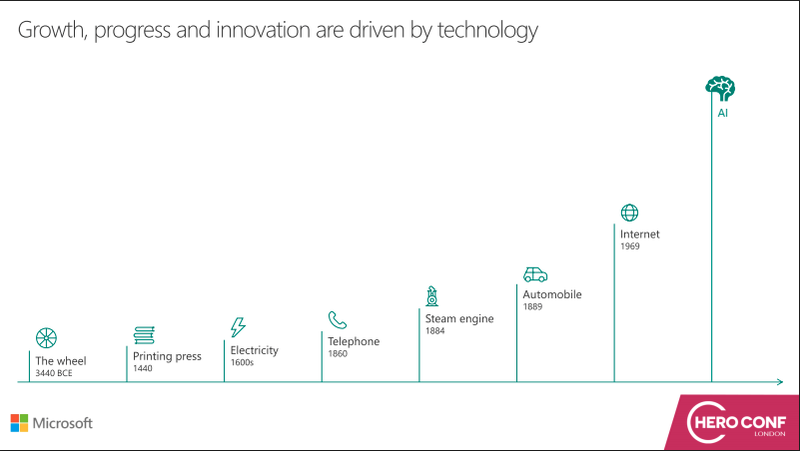 Whilst Microsoft shared the natural progression towards AI. 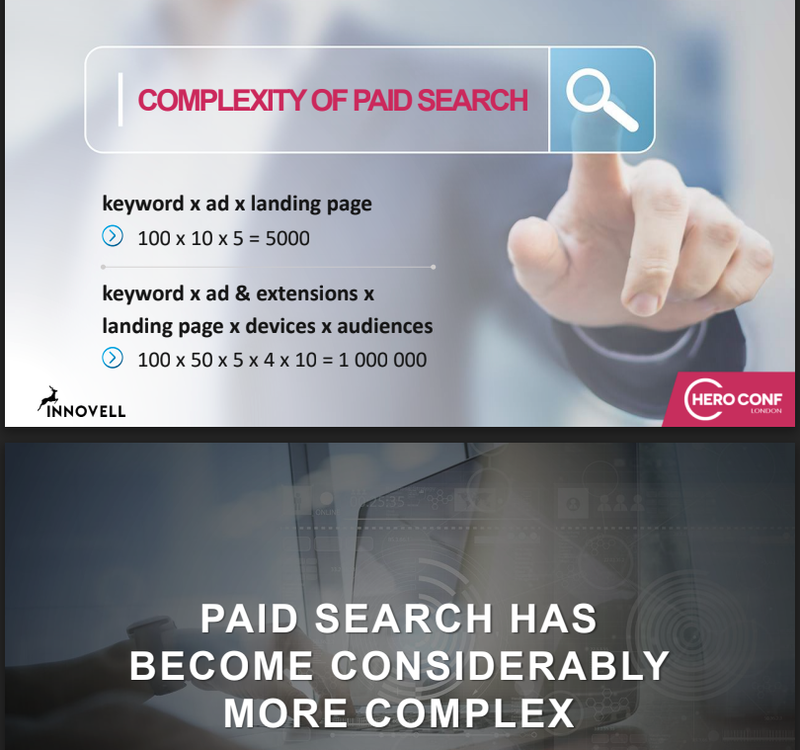 Anders Hjorth (Innovell) made the point that PPC is getting more complex. 10 years ago an average account may only have 10,000 combinations to be tested. Whereas now a 1,000,000 plus is easily achievable in even a fairly modestly-sized account. 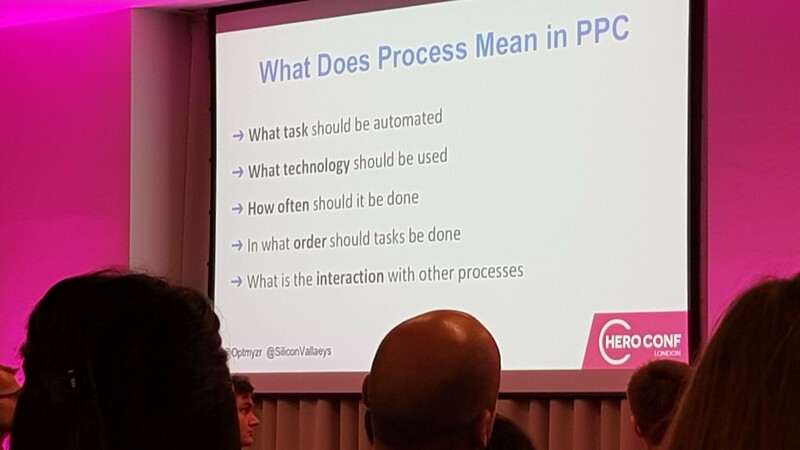 Whilst Frederick Vallaeys (Optmyzr) went into more detail about the changing relationship of ‘People, Tech & Process’ in PPC. His key message was that without a strong process everything falls down. So will all PPC tasks be automated by AI then? Sven Wilhelm (Sport-Thieme GMBH) provided most of the answers to this question by giving specific examples of how a PPC manager’s role is changing, with a general shift from micro-management towards higher-level strategy. Whilst the time currently spent on bid management can be used in a better way. Smaller accounts or low conversion campaigns that still require skilled manual work for good performance. Automated bidding strategies need time to learn. This means that ad-hoc requests to “push these products now” outside of the Smart Bidding strategy set-up. Examples being Black Friday, Cyber Monday, January Sales plus seasonal trends. Overall it's good news for anyone involved or using PPC. Increasing levels of AI / Machine Learning mean more sophiscated targeting opportunities for Advertisers / Business Owners at any level. Whilst for PPC Managers, repetitive daily tasks are gradually (and with caution!) being replaced with higher level thinking, processes and strategy. HeroConf 2016 London - PPC Experts Summit. A couple of weeks ago we attended Hero Conference London 2016. This is probably the premiere PPC conference in the world right now and consists of two and half days of non-stop presentations on best-practice PPC tips along with views on the future of PCC. As such, it’s really unmissable in such a fast moving industry. What did we learn? Well trying to compress 2.5 days of PPC into one blog is a fairly tough task! Plus lets face it, there were plenty of new ideas and concepts that perhaps we don’t want to make too public eh?! The Highlights. Larry Kim, founder of Wordpress gave ..